I hit it pretty solid on Thursday but missed a few putts to shoot a decent 68(-4), which is a good start to the week. I was asked to spend some time in the Commercial Bank hospitality unit behind the 18th green, which was a pleasure as they have been brilliant sponsors of this event for a long time. Friday was a strange day as hit some good shots but also hit some shockers. I had to birdie my final hole to make the cut on the mark of -4. I should never have been in that position though but it was still good to make a birdie when I had to. 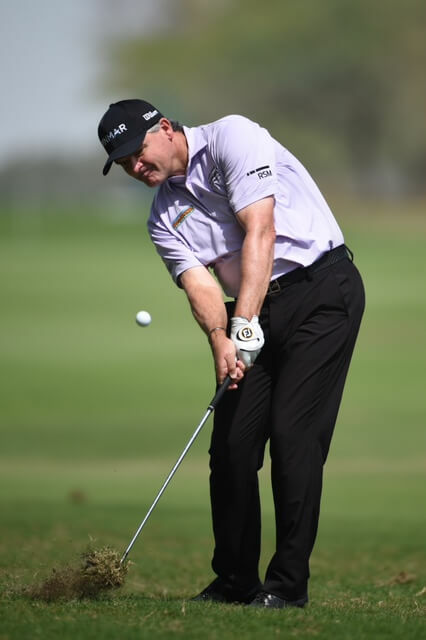 I putted much better today after noticing the putter was a wee bit outside the line on Thursday, so I focused on taking it slightly inside today and certainly rolled it better.